Founded by the Kalachuri King Ram Chandra of Ratanpur during the last quarter of the 14th century AD, Raipur is now the capital of the newly formed state of Chhattisgarh.Raipur is the biggest city in the region and a fast developing industrial center. At times it is also referred as the rice bowl of India.Raipur is supposed to be very fertile area and different varieties of rice are grown. Raipur is situated in the fertile plains of Chhattisgarh Region. It is situated between 22o 33' N to 21o14'N Latitude and 82o 6' to 81o38'E Longtitude. It occupies the south eastern part of the upper Mahanadi valley and the bordering hills in the south and the east. History dates back to Raipur being ruled by the Satawahana Kings during the 2nd and 3rd century and also very famous for its archeology. Earlier Raipur was part of Southern Kosal which was ruled by the Mauryan kingdom. It was also under the reign of Haihaya Kings who maintained the Chhattisgarh fort. Even now you can see the ruins of the fort in the southern part of the city. 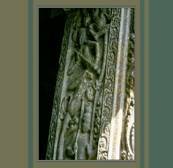 The period between 4th-6th century A.D.was ruled by the Samudragupta Kings. For some period in Fifth-Sixth Century A.D., Nala kings dominated this area followed by Kalchuri Kings of Tumman who had Ratanpur as their capital. It is believed that the King Ram Chandra of this dynasty established the city of Raipur and subsequently made it the capital of his kingdom. Once Raipur came under the British government Chhattisgarh was declared a separate Commissionery with its Headquarters at Raipur in 1854. This is more a fetsival for the farmers which falls in the month of Shravan during which the people worship the cattles and the farm equipments.They place branches and leaves of the Bhelwa tree in the fields and pray for a good crop, and also hang small Neem branches at the main entrance of their homes to prevent seasonal diseases. Hareli is closely followed by Pola festival.The main highlight of this festival is bull race which attracts a major crowd. This is the festival of the Northern states. Ladies enjoy swings while singing traditional Teej songs. Idol of goddess Parvati is also worshipped. This festival is held in a place called Rajim which is about 48 km from Raipur and it falls in the month of February. This festival entertains the people with cultural events. An annual fair is held every year in Champaran (56 km from Raipur) with great fanfare in the month of Magh (January-February). This cultural fair attracts people especially Vaishnavas from all over the country. This is a major festival of the Bhoramdeo temple during which the temple campus is filled with people. Various activities are organized as part of the festival. The Laxman Temple is situated in Sirpur which is a one hour drive from Raipur.This temple houses a rare collection of tatues and other relics significant to the Shaiva, Vaishnava, Buddhist and Jain faiths. The Mahadev ghat is located 5 kms from Raipur on the banks of river Kharun. 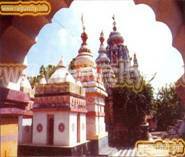 The temple was built in 1402, by Hajiraj Naik during the rule of Bramhdeo Rai, son of the Kalchuri king Ramachandra. 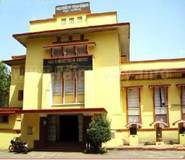 Brahmdeo Rai’s monumental script in Sanskrit is still preserved at the Mahant Ghasidas memorial museum. 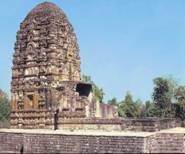 This temple in Sirpur is situated on the banks of the Mahanadi river and the main deity worshipped here is Lord Shiva. Inside there is a statue of Buddha touching the earth, as well as statues of Natraj, Shiva, Varah, Garud Narayan, and Mahisasur Mardini. This temple which is named after Swami Balbhadra Das and built by King Jaitsingh is dedicated to Lord Rama.Doodhadhari Monastery and temple was built during the 17th century and is situated on the banks of an ancient river called Maharajbandh. This temple belong to the Kalchuri era and is adjacent to the Maharajbandh temple which is situated in Raipur's old fort area. Burha Talab is the largest lake in the Raipur city which means aged lake.The beauty of this lake is enhanced by the presence of an island in its midst with full of greenery. Mahakoshal Art Gallery is a place to mainly exhibit art works of the locals and the other main attraction of this gallery is its architecture. 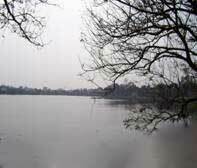 It is a magnificent lake and is also one of the prime tourist attractions in Raipur. The lake was built by the Kalchuri emperor King Brahmadeo around 1402 AD. This is a branch of the Swami Vivekananda mission which talks about the ideas and principles of Vivekananda. This is of great tourist who is interested in seeking spiritual enlightenment. Mathpurena is situated at one end of Raipur. A four handed sculpture of Lord Brahma belonging to the 8th century and believed to be of the Som dynasty has been found here. Shaheed Smarak Complex is dedicated in memory of the Indian freedom fighters which houses a massive auditorium, library, museum and an art gallery. This complex was designed by the famous architect Prasanna Kothari. This museum which was set up in 1875 houses volumes of history about Raipur.It is a huge one with two floors which has in its exhibit various mammals, Snakes, and birds. This museum was established by Raja Mahant Ghasidas of Rajnandgaon. This is man made lake built by in 1770 by Maharaja Roadrani is another major tourist attraction. Kho-Kho Lake is also a very famous one in Raipur which shoud not be missed by tourists. This pace is at a distance of about 24kms away from Raipur and it is an industrial township with one of the biggest steel pants in India. 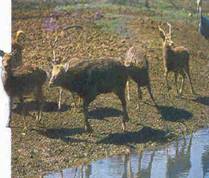 Barnawapara Wildlife Sanctuary is a very sport for people who love wildlife. Here one can get to see a deer, chinkara, Indian gazelle, spotted deer, nilgai, sambar, kotri, barking deer, four horned antelope, sloth bear, wild boar, wild dog, jackal, wolf, hyena and bison. Situated on the Raipur - Sambalpur National Highway, rang is famous for its temples, the main one being an 11th century Jain temple. Rajim on the river Mahanadhi is a pilgrim centre famous for its fine group of temples. The main temple is dedicated to Lord Vishnu. 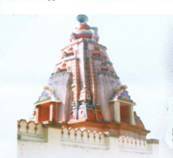 The other important temples in this area include Kuleshwar Mahadev temple and Rajeshwar temple. When you think of shopping in Raipur the first thing which comes as a flash is the exquisite bell metal and wrought iron items both for decorative and utility purpose. You can get a good buy of terracotta products and stone sculptures.Raipur is also known countrywide for its cotton fabrics with works of kinari and zari.Woodworks are also admired items for shopping in Raipur. The expert artisans of Raipur carve out table lamps, side tables, boxes and various other utilities and objects d'art, which serve as extraordinary souvenirs. Though Raipur does not have any major shopping complex there are many government promoted shops and private ones. Taking the aerial route to Raipur is the most favored and hassle-free way of the traveling to Raipur. There are a number of flights that connect Raipur to the other major cities. You can access Raipur from Delhi, Bhubaneshwar, Bhopal and Jabalpur. There are regular flights that fly between these cities and Raipur. Reaching Raipur by road is possibly the most inexpensive way to get to the city. The city is intersected by The National Highway 6 and the National Highway 43 links the city to Vijaya Nagaram. Raipur is accessible from major cities of India like Mumbai , Kolkata , New Delhi , Chennai , Ahmedabad, Nagpur, Bhubneshwar, Bhopal,Pune,Jamshedpur etc.